Candle Quartz could be one of the oldest stones we have ever worked with. The wisdom of the ancients can be felt and heard within the torch of each crystal. It seems this stone has been left behind for our current generation to unveil and to utilize for the benefit of all. It has a pitched Hexagonal structure that is often recognized and admired for its unique “dripping wax” crystals at its base. This stone can be found worldwide, with some of its most popular deposits spanning across Madagascar. Candle Quartz crystals are said to be pure light bringers for the planet, and are an essential tool for those who have incarnated to help raise the vibration of Earth. It is especially effective for those who have chosen the path of The Healer, Teacher or Channel. In addition to its amplification and programmable properties, this stone can also be used as a tool for scrying or to enhance one’s personal illumination. The more time someone spends with this stone, the easier it is to realize our true nature as spiritual beings. The stone reminds us that we are spiritual beings having a physical experience, not the other way around. As Earth raises its frequency, light codes begin to bombard the collective unconscious. Candle Quartz enables us to make sense of all this high frequency information so that we can translate it, and begin to evolve spiritually. It wants us to be able to comprehend the process of ascension with our conscious understanding, as well as to feel it with our intuition. Candle Quartz is a stone that pushes us to face our fears so that we can stand strongly in the light and expose our truest self for all to see. Holding a piece of this stone enables one to stand firmly for what they believe in because they know it to be true in their heart. Passion combined with emotion never tells lies- Candle Quartz encourages this truth to be understood so that others may learn as well. When this occurs, many wicks can then be lit by the same flame. When one has healed and learned truly from their past darkness, they are then able to resonate with this stone for its true intended purposes. Dark times yearn for a flame to illuminate and to shed light on the truth. Only during the darkest of times are we in need of a bright “torch” or flame. Candle Quartz helps to light the way for humanity so that progress can be made out of the darkest hour. Candle Quartz lets us know loud and clear that transformation is upon us and that real truth is meant to be known by all people. 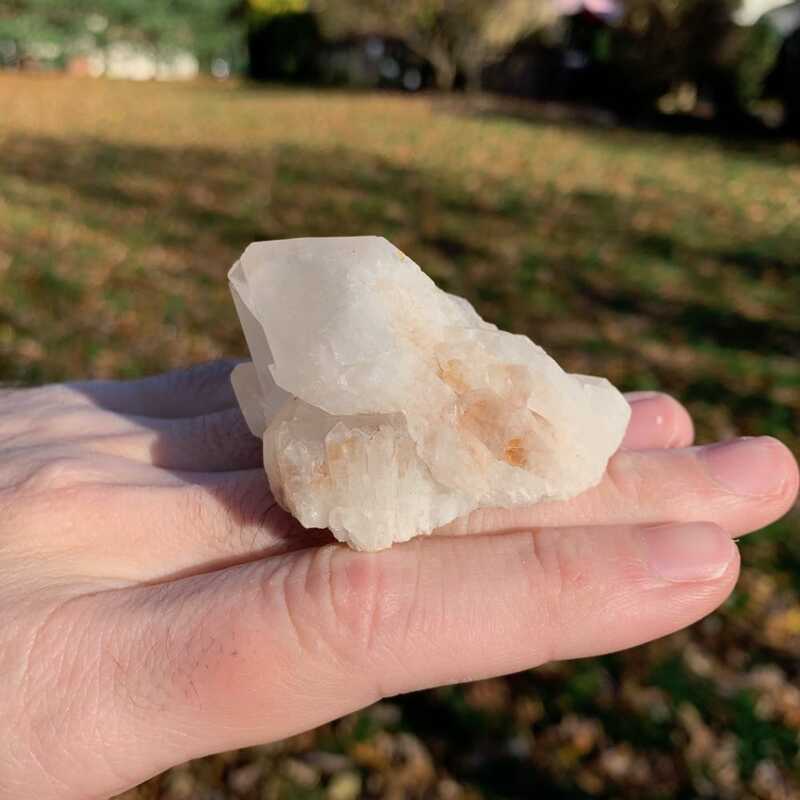 Described as a “stone for the luminaries”, Candle Quartz helps us to form a real connection between lightworkers and the luminaries of other worlds. This communication furthers our development and assist in aligning us with our highest versions of ourself. When we choose the path of light, we are taking on a great responsibility to serve ourselves and humanity for the highest good of all. When light beings, guides and Angels see that we have taken control of our ego, we are then able and trusted to be wielders of the light. Candle Quartz activates itself only for those who hold intentions of real universal love, purity, and benevolence. Light leads the way, so those who feel themselves connected to this stone are more than likely fit for leadership positions in the coming times.